WBEZ's Curious City is a weekly podcast answering Chicagoans questions about the most interesting quirks of their city. While listening, I stumbled upon a phenomenon just outside Chicago. Schiller Park is home to the most used hand water pump in the city. In fact, it is used more than all other water pumps combined. 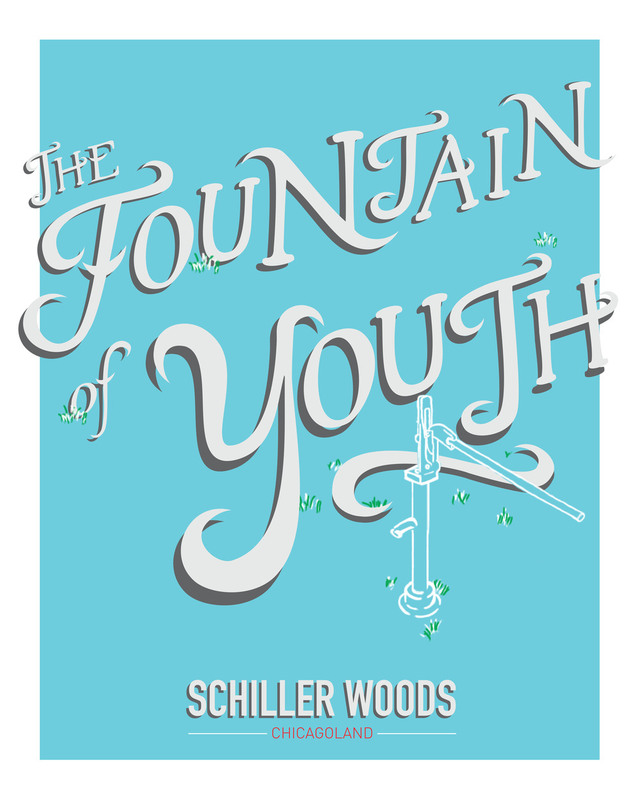 Rumor has it the pump is a "Fountain of Youth" of sorts. I used this fun fact as a chance to work on my hand lettering, drawing from 14th century spanish type (era of Ponce de' Leon's fabled discovery of the fountain of youth), as well as flowing water. 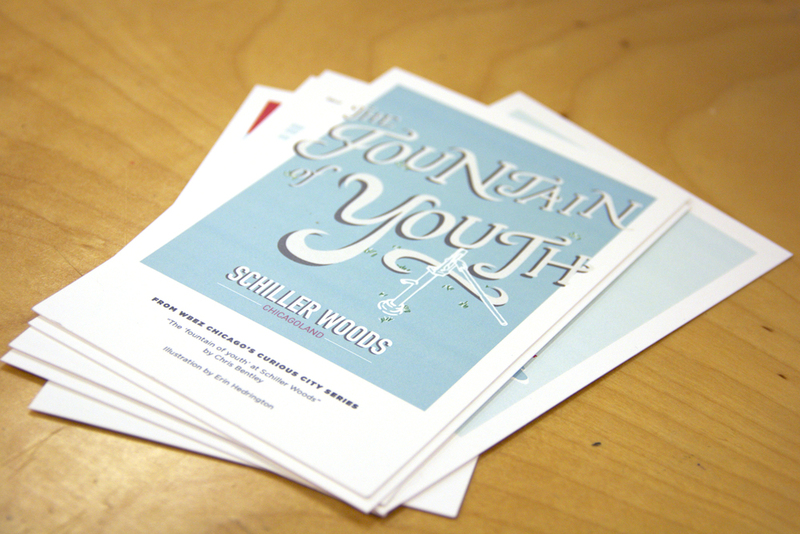 This poster was shown as part of AIGA's summer mentor program show. It was also sold as a postcard along with other designs.